Libby has always enjoyed a magazine. She likes doing all the activities and having the one on one time to go through it together. If I’m honest, I’d never really got around to buying a magazine just for Lia. But with Libby at school, when we were offered the opportunity to review the Teletubbies magazine, I realised it was time I started doing things like this with Lia. I’m not going to lie, I’ve never known a child read a magazine before playing with the free gift. With the Teletubbies magazine, the free gift was a Laa-Laa bedtime set. This was just Lia’s sort of thing, she spent ages putting Laa-Laa into bed and telling her to go to sleep. Then she’d put the little cover over her and say goodnight. I have to admit I was particularly impressed with the layout of this magazine. As well as the usual activities like colouring in and dot to dot, there were a couple of things that encourage you to take the pages out. The counting chart encourages children to both count and recognise numbers. 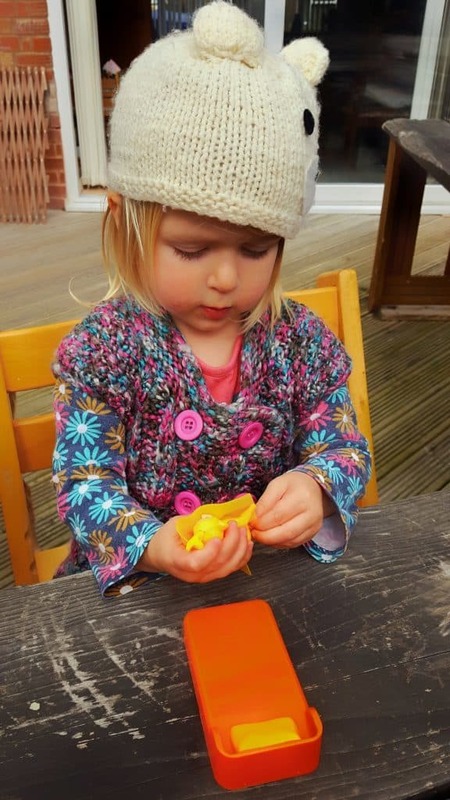 This was perfect to build Lia’s confidence in doing the other activities because this was something she could do straight away. The other part that you take out is the Favourite Things sticker scene. 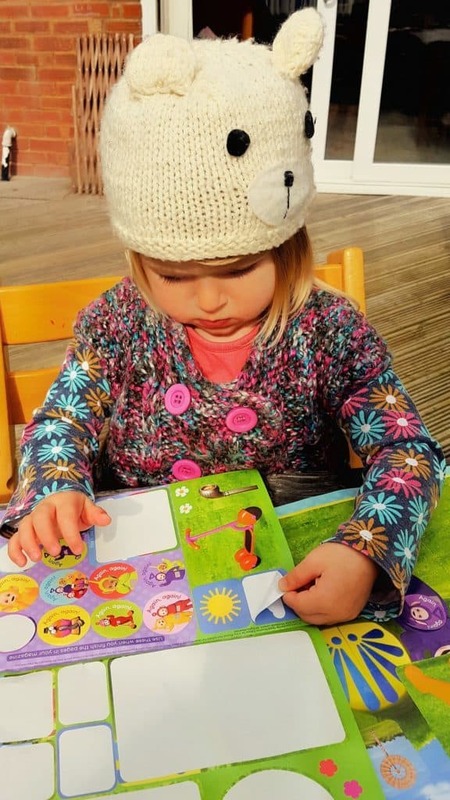 Lia loved the fact that the stickers were big enough for her to stick on herself, although she still needed a bit of help taking some of them off the page. To get these bits out, I took out the staples. This actually gave us a lot more longevity with the activities. 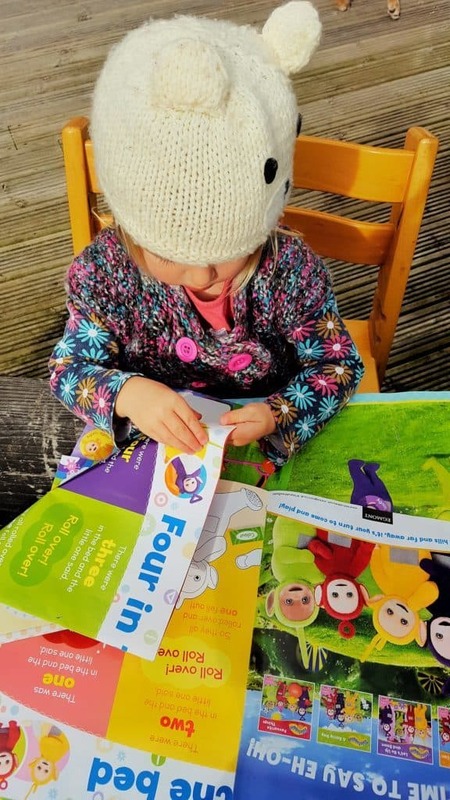 We were able to look at one or two pages at a time, as loose sheets rather than flipping over the pages and quickly getting fed up as Lia may have done otherwise. All of the activities were educational and aimed at pre-school age children. 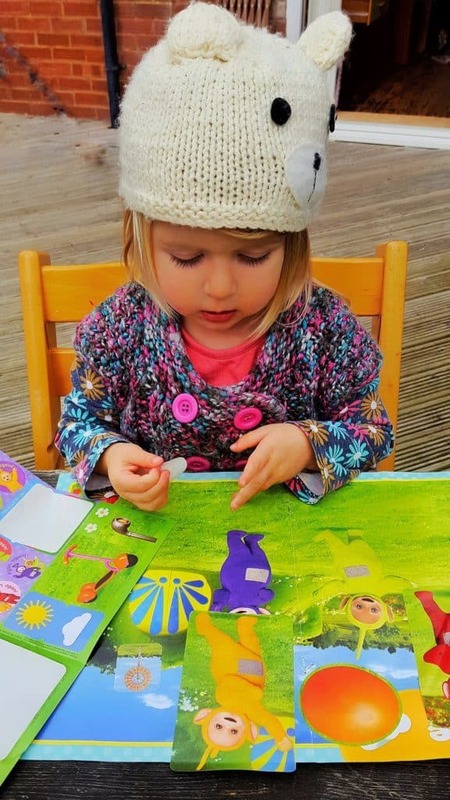 They build on skills like colouring, listening to stories, holding the pen correctly, colour recognition and fine motor skills from using the stickers. Whilst Lia struggled with a few bits like dot-to-dot, I know that we’ll keep buying the magazine during the course of the next 12 months and soon she’ll be able to do them all as her skills build. 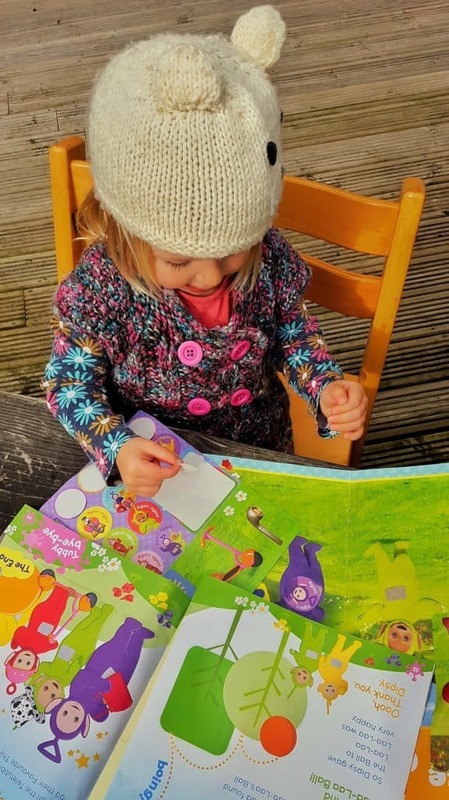 A couple of months ago, we reviewed the Teletubbies books. Lia enjoyed the stories so I was pleased to see that the magazine contained some stories as well as activities. One of the stories had pictures replacing certain words, so Lia could actually get involved with reading it. This was a huge thing for Lia, because her sister has been bringing home reading books from school and she feels a bit left out that she can’t read the words. Having some one on one time with me reading and doing her own activities was really exciting and she’s already been asking if she can have another magazine some time. We’ve made a little video of Lia enjoying her Teletubbies Magazine. Now I’m just bracing myself for the wrath of Libby when she comes home and finds that we’ve been playing with it without her! Please note, the magazine was given to us free of charge and I was compensated for my time in reviewing it. However all views, opinions, images, videos and happy toddlers are my own. We are still at the stage of not really understanding magazines. J just wants to rob the toys and the stickers out of them mainly.